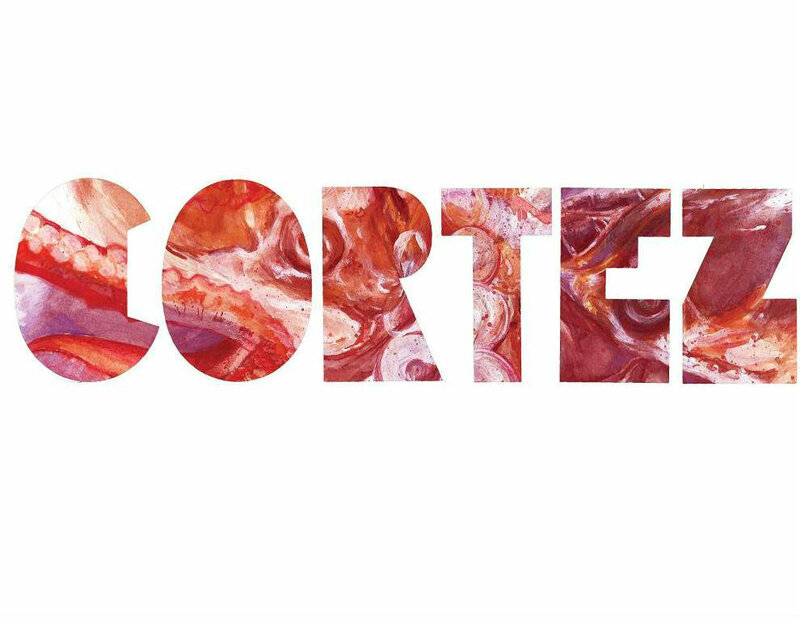 CORTEZ premiered at the New York International Fringe Festival in 2014. Loosely inspired by John Steinbeck’s real life recording of such a mission in “The Log Of The Sea Of Cortez,” the show follows two marine biologists and their crew, all at odds during the most important expedition of their careers: following the imminent extinction of The Sea Tomation. When a shark, stranded on their boat, refuses to die, things get weird in this physical theatre piece about the nature of ego, love and revenge, getting to the heart of what separates and connects us to the animal and plant worlds we study. Directed by David Riley and Written by Judith Goudsmit. 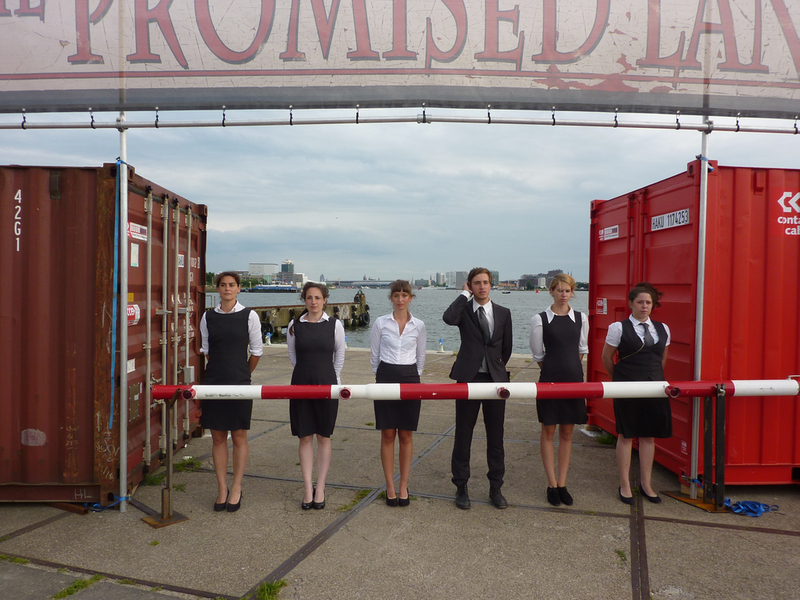 The Promised Land (2012) as created for the site specific Dutch theater festival Over 't IJ. 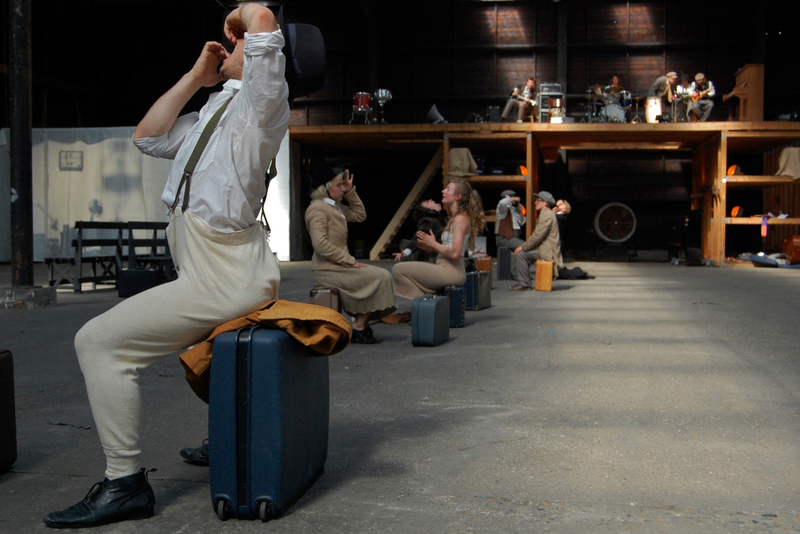 Milkwood collaborated with directors from Dutch Theater company Orkater, three students from the Amsterdam theatre school, and a live band to investigate and examine the experiences at Ellis Island and its immigrants. An immersive theatrical journey, which led the audience through the heart ache of saying good bye, the adventurous boat journey, the thorough interrogations and ultimately the arrival on Manhattan and the beginning of a new life. At times electrifying, heart-breaking and moving, The Promised Land left spectators baffled and bewildered. 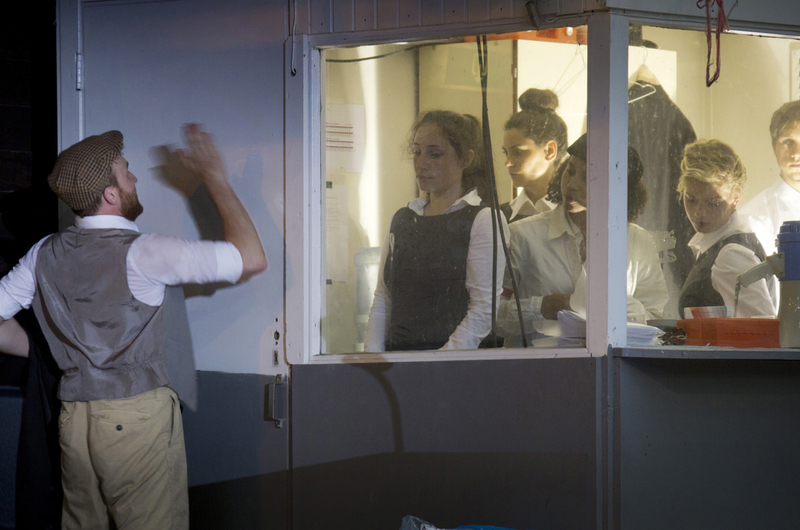 The New Yorkers (2011) was directed by Orkater's acclaimed directors Ria Marks and Titus Tiel Groenestege and was performed at the Dutch parade festival. 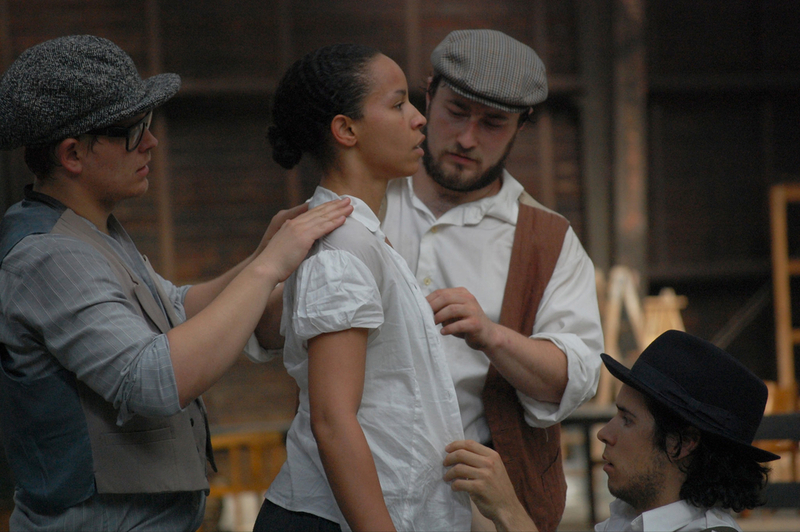 Milkwood's actors explored their own interpretations of American ordinary life and what it means to be an 'American.' We follow a day in the life of five office workers as they struggle with monotony, paper trails and unfulfilled desires. 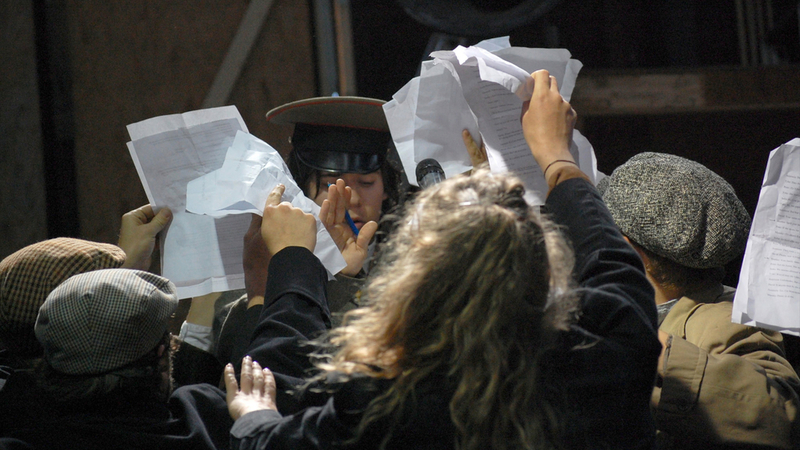 New Island (2009) started the collaboration between acting students from the New School for Drama with Dutch music theatre company Orkater. 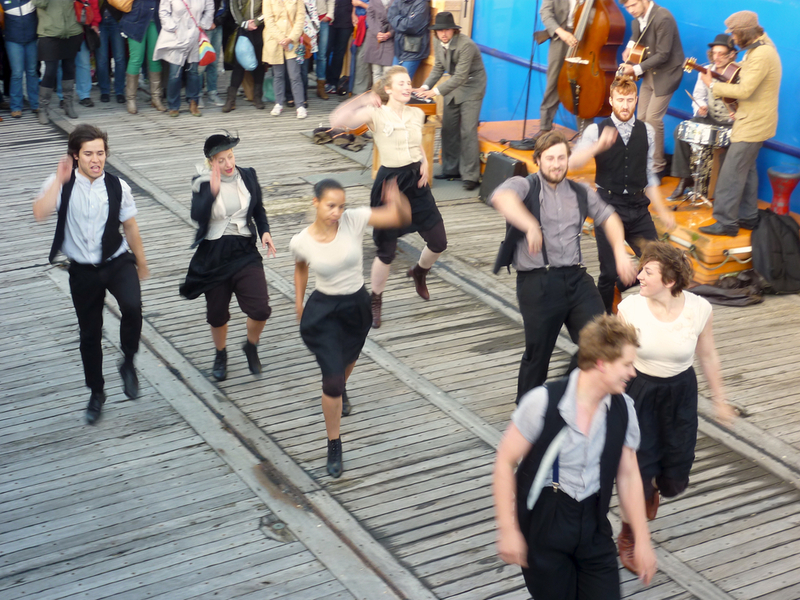 The show was performed at the New Island festival, which celebrated the 400th anniversary of New York. It explored the fears of leaving the familiar behind and the hopes and dreams of entering an unknown world.